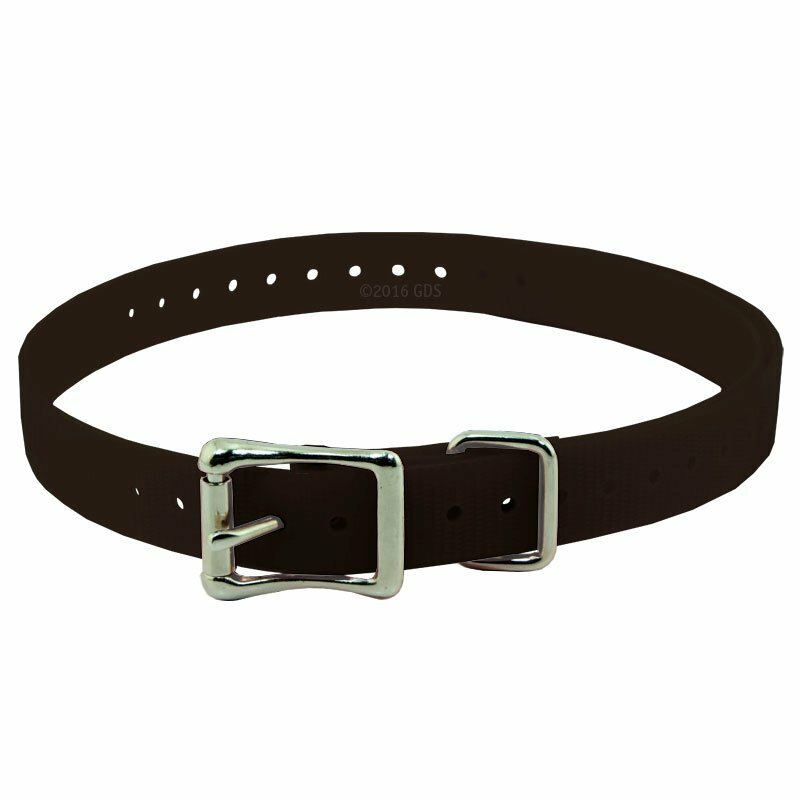 SportDOG 3/4 in. Replacement Straps. $14.95. Yellow Lab and Husky. Family pet. "Product exactly as expected. Service was excellent." Product exactly as expected. Service was excellent. "My favorite part of the purchase was the great customer service." Arrived quickly. Easily applied. Brightly colored. Fully adjustable. My favorite part of the purchase was the great customer service. 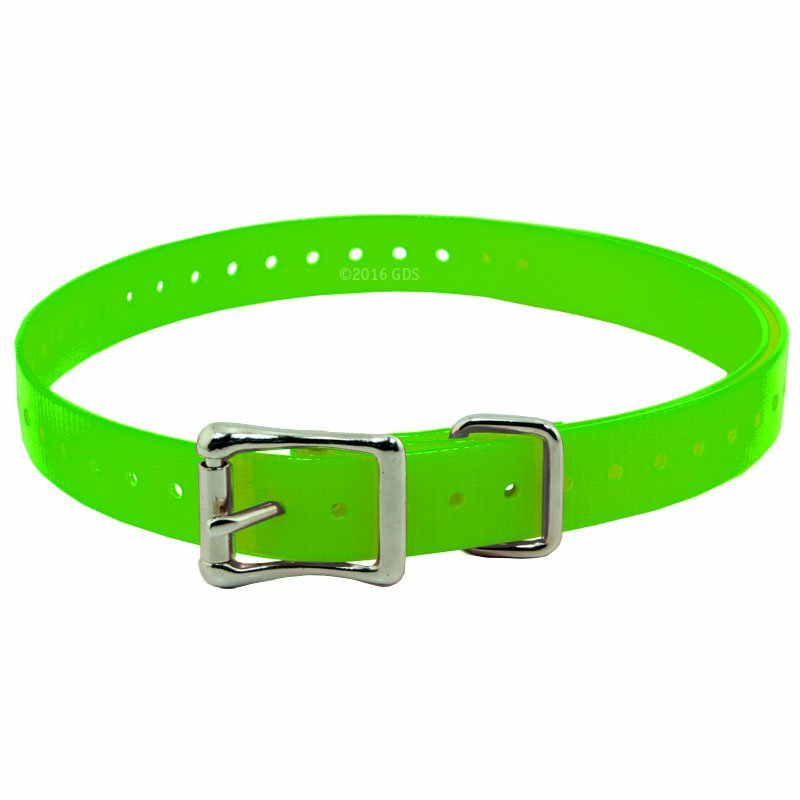 I wrote to ask if the collar would fit my Sport Dog unit, and I got a quick response. "I have purchased quite a bit of products and have no complaints as yet." I have purchased quite a bit of products and have no complaints as yet. "Great quality and great price!!!" Great quality and great price!!! Lightening shipping! "Nice quality. Will work as well as original one." Nice quality. Will work as well as original one. "Nice strap, but I wish they put a stronger D ring on the collar!" Nice strap, but I wish they put a stronger D ring on the collar! "I would have preferred a choice of color when I purchased the two extra receivers." I would have preferred a choice of color when I purchased the two extra receivers. Great service and quick delivery! 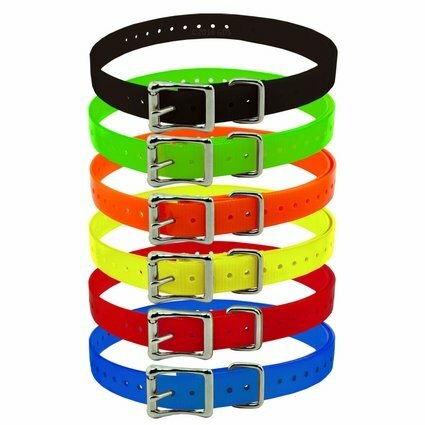 Absolutely love the bright colors of the collar straps. They look great on my dogs! "I think it's great and hadn't had any problems with it. I actually think it's easier to remove that the original that came with the e-collar"
2 black labs 1 schnauzer. Hunts. Family pet. "Very nice, rugged and visible!" Very nice, rugged and visible! "Needed a replacement strap for our dog's collar, and this is perfect." Needed a replacement strap for our dog's collar, and this is perfect. They stand up to a lot of use and abuse. Just cut to fit, put it on, and go. "You have a customer for life." Thanks for your concern. Everything is great. What surprised me was getting my items in 2 days. Never had that happened. You have a customer for life. Absolutely love this collar. Purchased it as replacements for the PetSafe Stay and Play collars for all 7 of our dogs. Collars fit perfectly from Chihuahua to the St. Bernard. 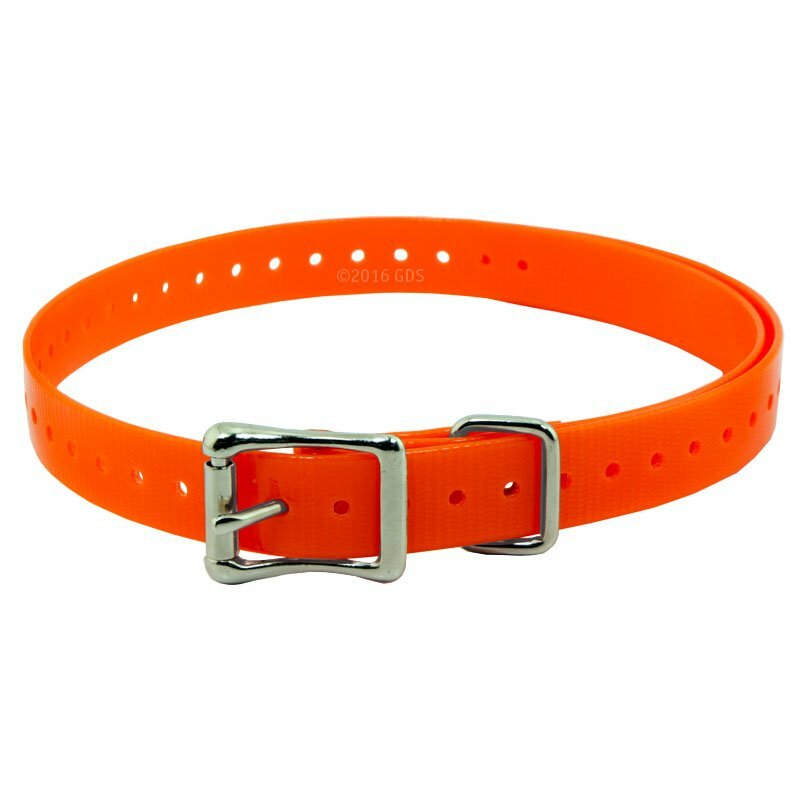 Appear very durable, and we love the bright orange color to keep the dogs even more visible. Advice from Gun Dog Supply was also extremely helpful in choosing the perfect collar. I will purchase from them again without hesitation. Super fast shipping too. Thanks much Steve! 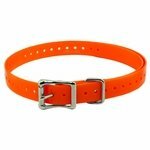 "Quick delivery and quality collar. 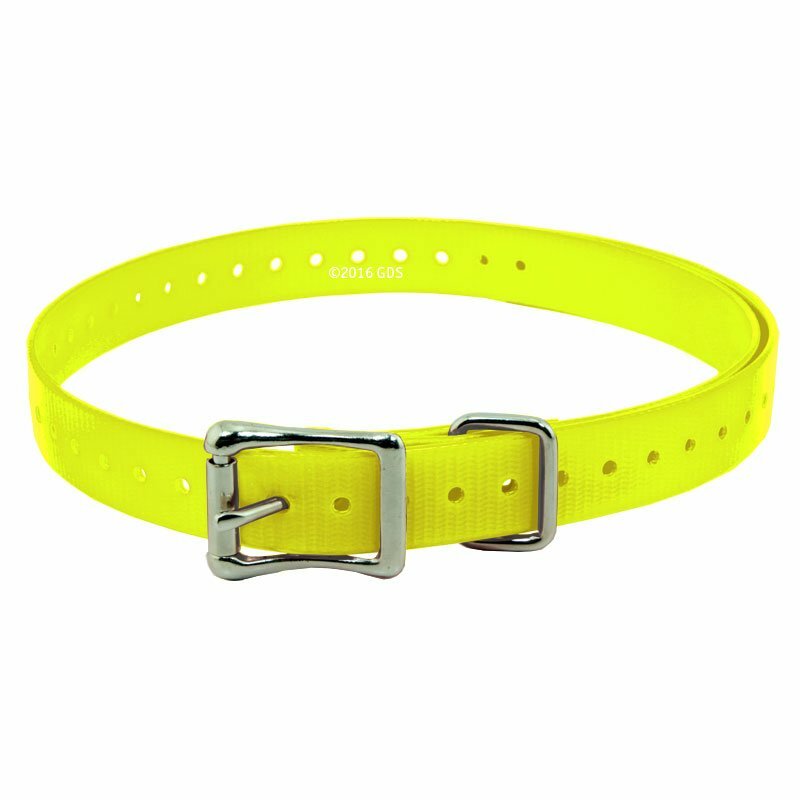 Thanks GDS"
"Works excellent as a replacement collar." 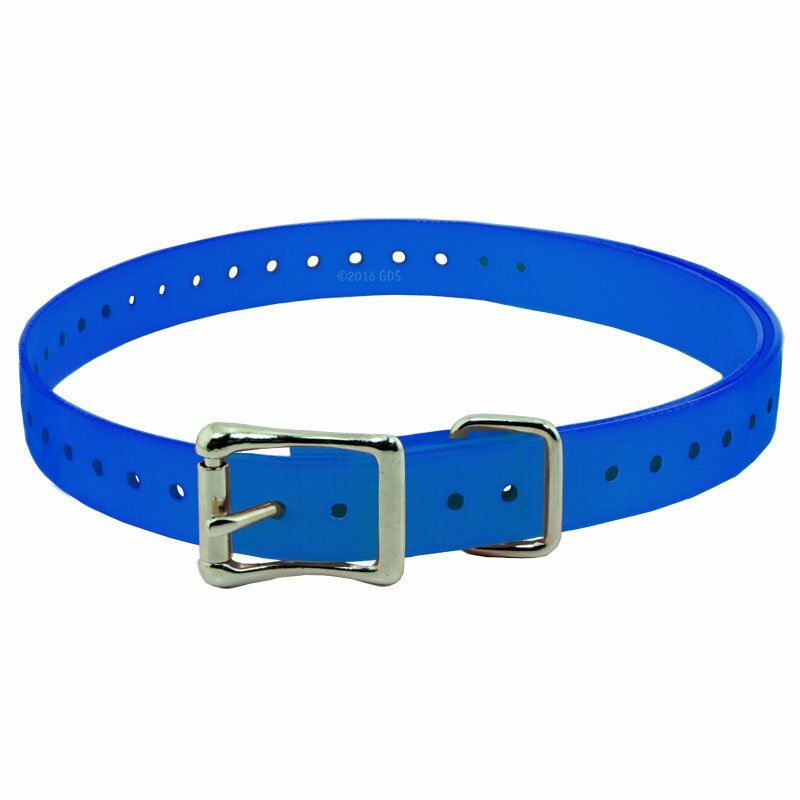 Works excellent as a replacement collar. Very sturdy and holds up, even if you cut them down. Very happy with them. "Great product, great choice of effective colours..."
weimaraner. Hunts. Family pet. Competes. "The collars works well with my electronic collars." The collars works well with my electronic collars. "Received in a timely manner as advertised." Received in a timely manner as advertised. 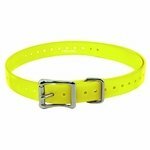 "Good collars and competitive price." 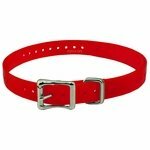 Good collars and competitive price. The extra colors help when using a couple different dogs on the same remote. Has a 27" strap and comes in six colors. 3/4" x 27" strap fits up to a 22" neck with the receiver installed. 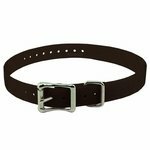 Fits SD-425, SD-425S, SD-825, SD-1225, SD-1825, SD-1875, SD-2525, SD-3225, and other training collars with 3/4" straps. Can also be used as an extension.